Home > Supplies & Accessories > Canon Inks > Canon Cartridge 128 (for MF4570DN), Free shipping! Canon Cartridge 128 (for MF4570DN), Free shipping! 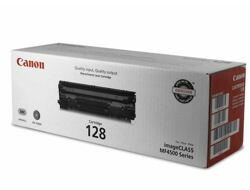 Canon 128 3500B001 Black Toner Cartridge produces sharper prints and increases the light resistance of printed images. This toner is designed exclusively for the Canon MF4570dn printer.